Taisia Kitaiskaia was born in Russia and raised in America. Her poems have appeared or are forthcoming in Pleiades, jubilat, The Missouri Review, Gulf Coast, Phantom Limb, and elsewhere. 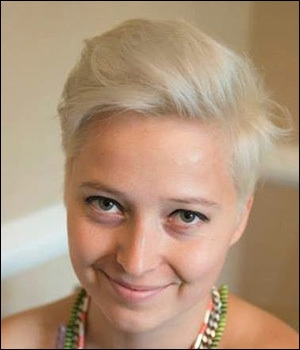 A Michener fellow and the new managing editor of Bat City Review, she is also the medium for Ask Baba Yaga. Find out more at www.taisiakitaiskaia.com.